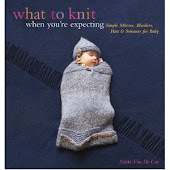 What To Knit When You're Expecting: Up! We have entered a new, terrifying stage--the climbing stage. I know, for all you folks whose babies were falling out of their cribs at a year, sympathy is not all that warranted. But oh, such a peaceful existence we had! Everything is now "Up!" and "Down!" (or rather, "daaaahhhhnnn.") The only thing she has no interest in climbing is our stairs. We go up and down hills, over and over. She climbs the furniture, the cabinetry, glass doors (until prevented), and worst of all, the ladder to RockNoodle's loft bed. RockNoodle's room is a source of great joy and wonder for Willow. (And frustration, since there are so many things she cannot have, but that's a separate issue). And it works out well for me, since it's right off the kitchen and she can play happily and make a mess of the place while I cook dinner. No longer. Now, you step out of the room for a second to stir the sauce, first making certain that Willow is still engrossed in pulling all the books off the bookshelves, only to find that the moment you've grabbed the spoon you hear "Up! Up! Up!" 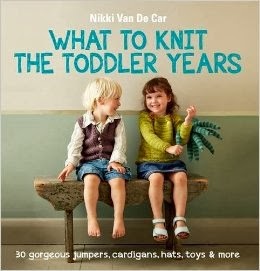 and race into the room to see your twenty-month-old five feet off the ground. And there is no "Down!" off the ladder. There's mommy, or there's falling. It's making cooking very difficult. It's making letting her out of my sight very difficult. I'm back to being unable to go to the bathroom without locking her in the room with me, because even if we close off RockNoodle's bedroom and deny Willow one of life's greatest pleasures, there are still a million other dangerous things she could do in places we can't close off and protect her from. And anyway I'm in favor of this climbing thing. She has grown so physically confident, and so strong recently--this morning, she stood on her little Playskool giraffe rocking horse and wobbled back and forth, and I let her because the worst that would happen would be a fall and a bumped head and a cry and hopefully a learning not to do that--but she didn't fall. She balanced perfectly, and reached down and caught herself when she started to feel insecure. I'm for this. I am. I'm even okay with her perpetually skinned knees and her tears when I clean them out. I just can't handle another big fall on my watch. So, uh, who's up for takeout? Eh, I'll just get home early and do the cooking for a change. If she has a tendency to climb furniture, make sure it's anchored to the wall. Cheap peace of mind.